Brighton Gardens of Raleigh, located at 3101 Duraleigh Road, Raleigh, NC 27612, is a senior living community specializing in Alzheimer's, Assisted Living. 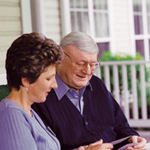 The community is a part of Sunrise Senior Living's family of senior care communities. The cost of living in Brighton Gardens of Raleigh starts at about $3,376 a month. Located just minutes from Rex Hospital and Crabtree Valley Mall, Brighton Gardens of Raleigh sits in a central location close to I-40 and Raleigh Beltline. 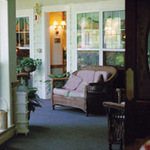 We pride ourselves in our extensive nursing services, positive and active social atmosphere and vibrant ambiance. View the complete list of or for all Sunrise Senior Living Raleigh facilities Raleigh assisted living communities. 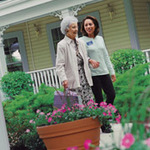 For more info on Brighton Gardens of Raleigh, contact the community with the form to the right. 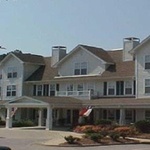 Brighton Gardens of Raleigh is located at 3101 Duraleigh Road, Raleigh, NC 27612.